Meanwhile, tighthead prop Declan Fitzpatrick has signed a new two-year Irish deal. Ferris will be given more time to recover from his ankle problems. ULSTER HAVE HANDED Stephen Ferris a new ‘short-term’ deal as he continues to fight his way back from an injury sustained in November 2012. The Irish international flanker has been greatly missed by country and province as an ongoing ankle problem has kept him on the sidelines, but Ulster are clearly hopeful that Ferris can recover. The vague “short-term” nature of the deal points to the fact that a full return to fitness is still in doubt. However, Director of Rugby David Humphreys says the province are happy with his progress. “Stephen has shown remarkable drive and determination over the past year as he has worked to overcome the injury that has kept him out for so long. Meanwhile, tighthead prop Declan Fitzpatrick has signed a two-year Irish contract that will keep him with Ulster until June 2016 at least. With John Afoa set for a move away from the province at the end of the season, Fitzpatrick’s importance is likely to grow in the north. The 3o-year-old has been capped seven times for Ireland and performed well off the bench during the November Tests against Samoa and New Zealand. Fitzpatrick made his Ulster debut in 2006 and has gone on to make 83 appearances for the province. Humphreys was satisfied to seal the deal with Fitzpatrick ahead of the departure of Afoa. Declan is a hugely important member of our squad and has proved at both Provincial and International level that he is a top performer. Email “Ulster hand Stephen Ferris new 'short-term' contract”. 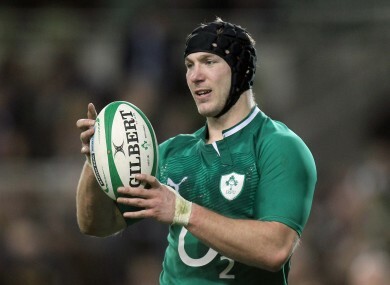 Feedback on “Ulster hand Stephen Ferris new 'short-term' contract”.